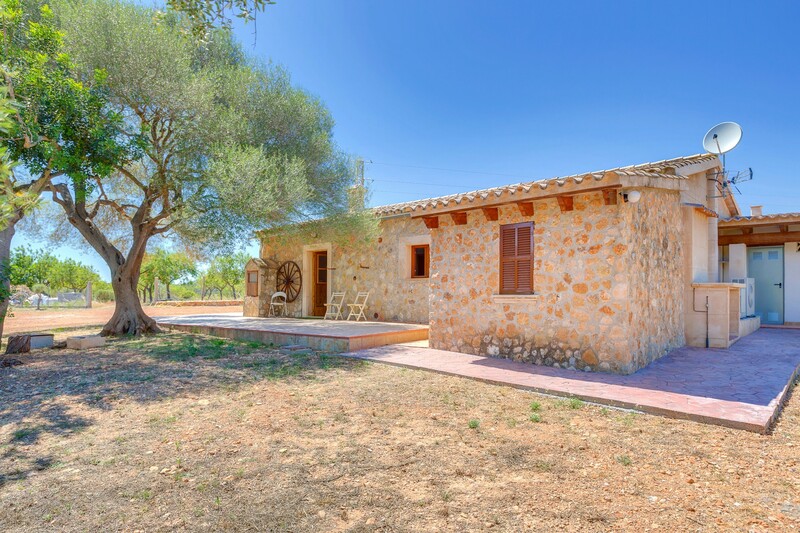 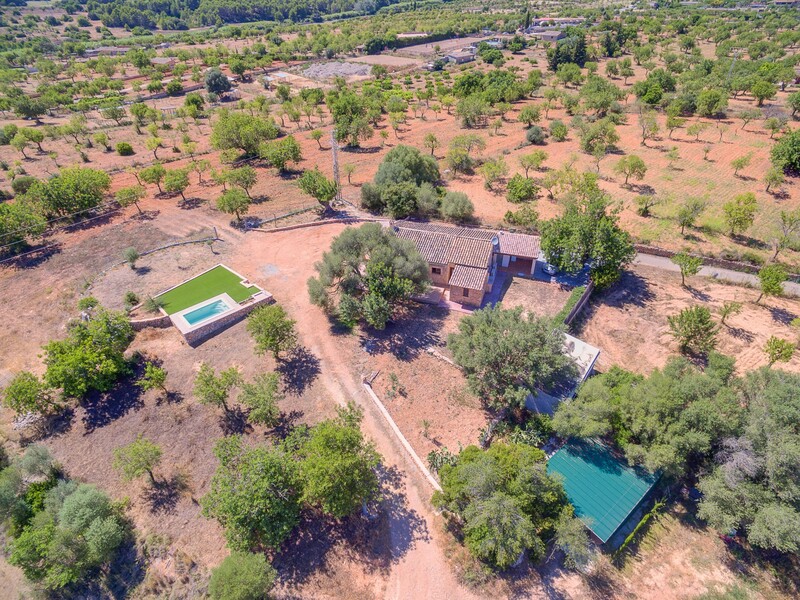 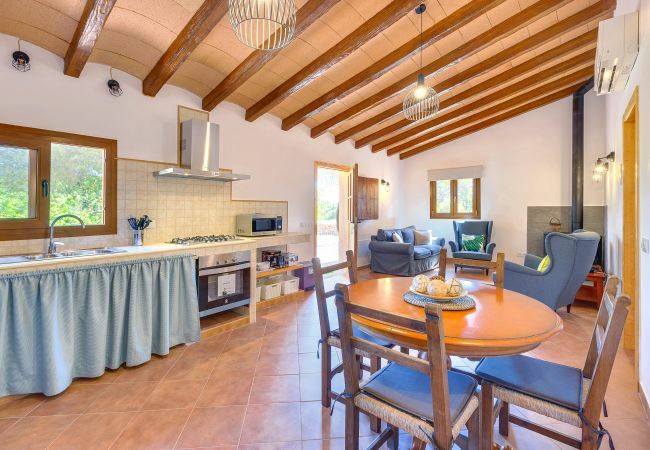 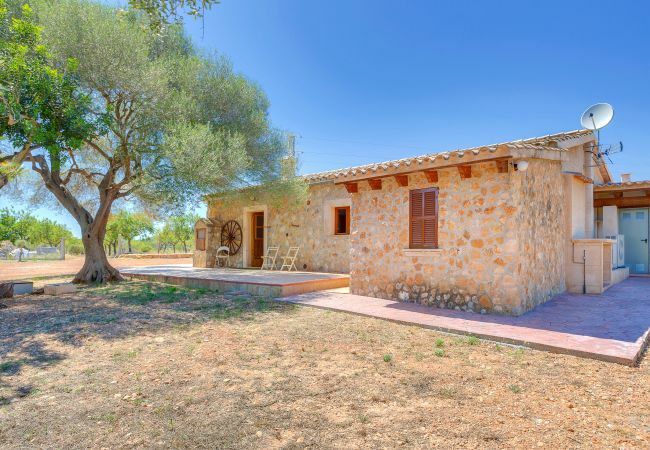 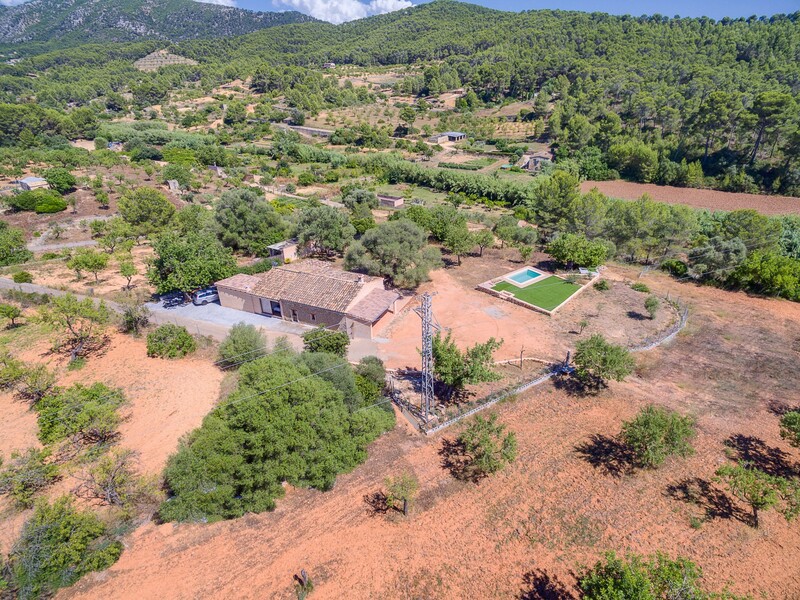 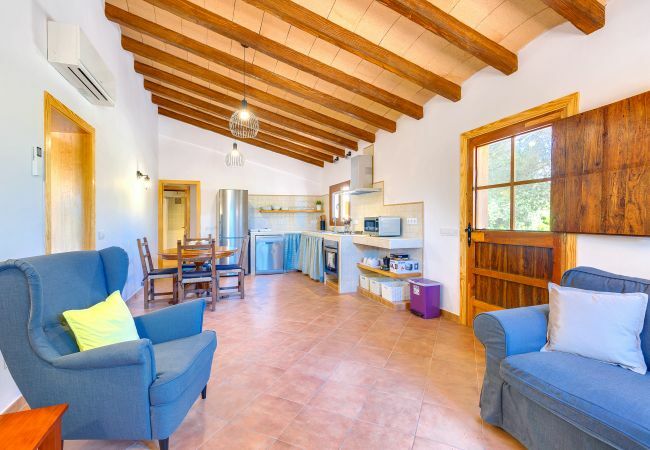 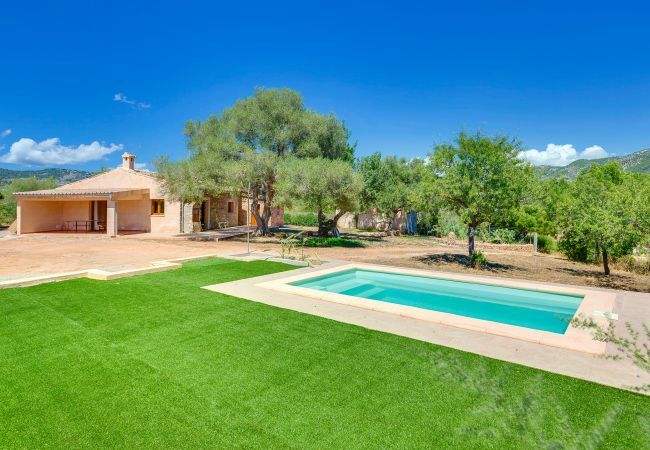 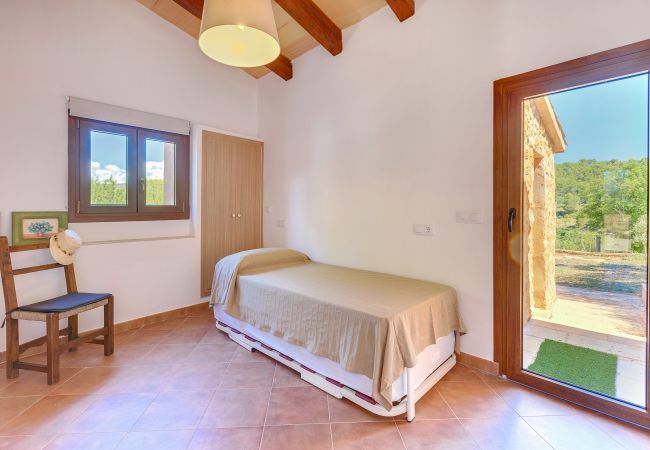 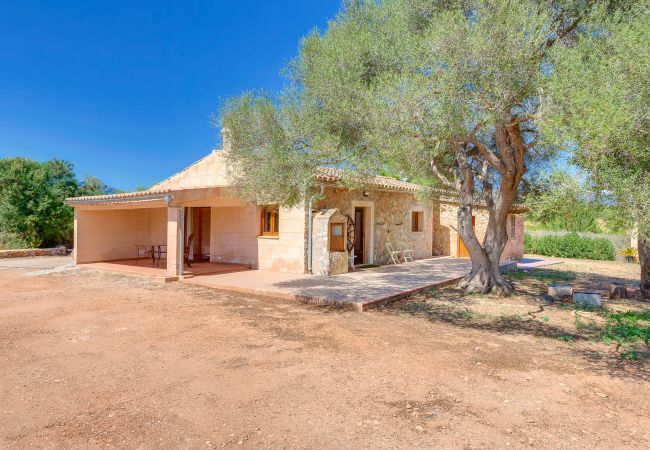 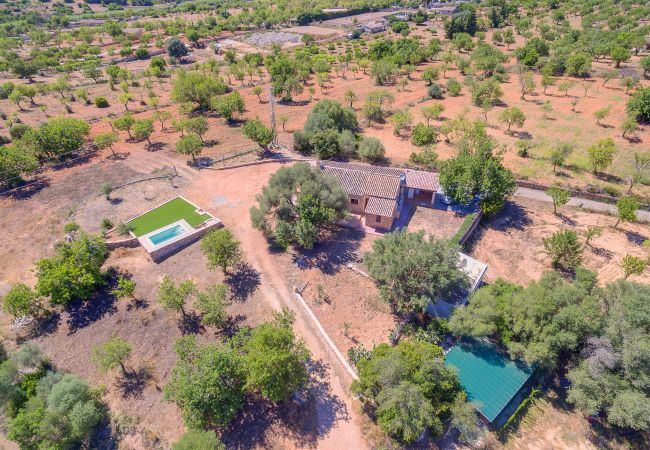 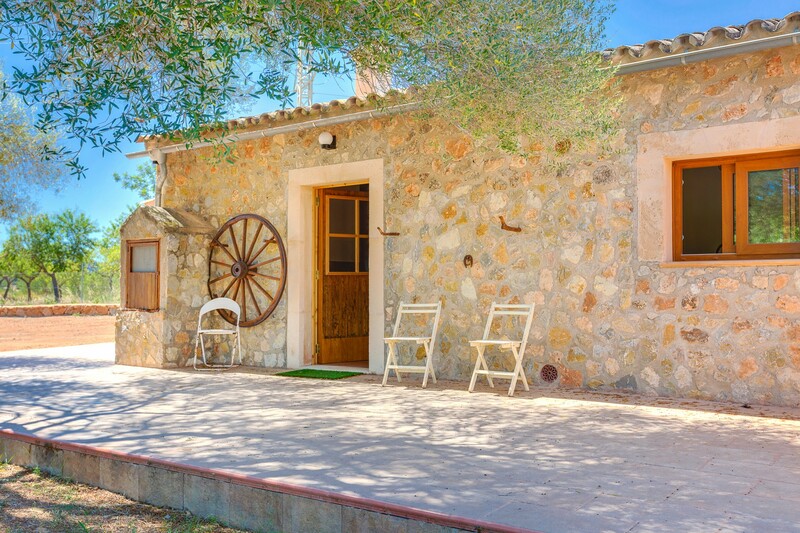 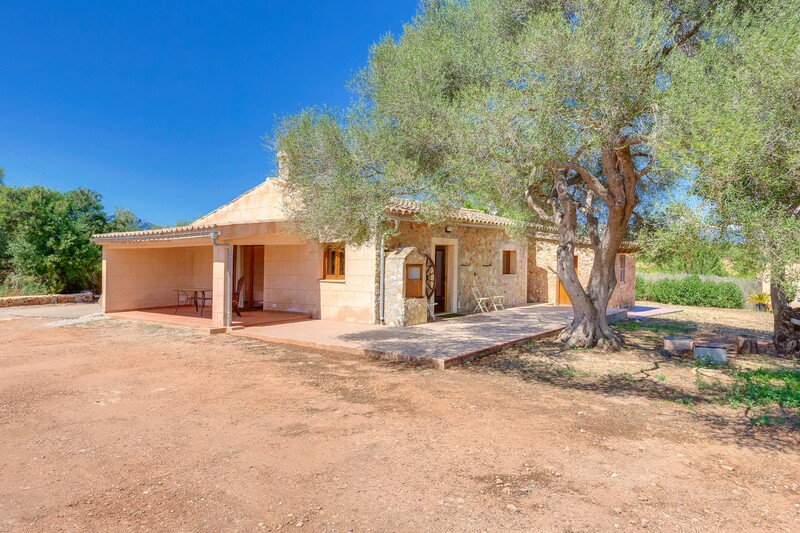 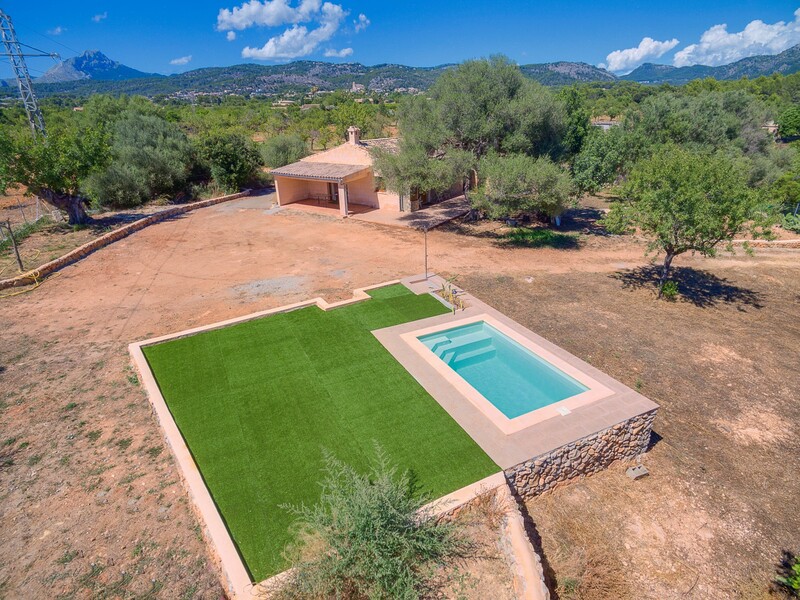 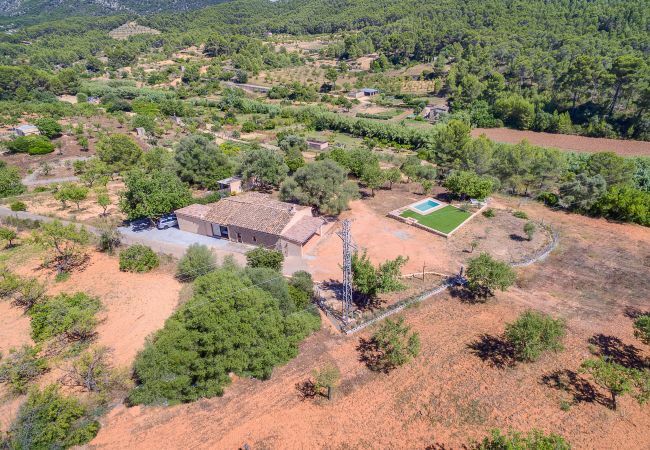 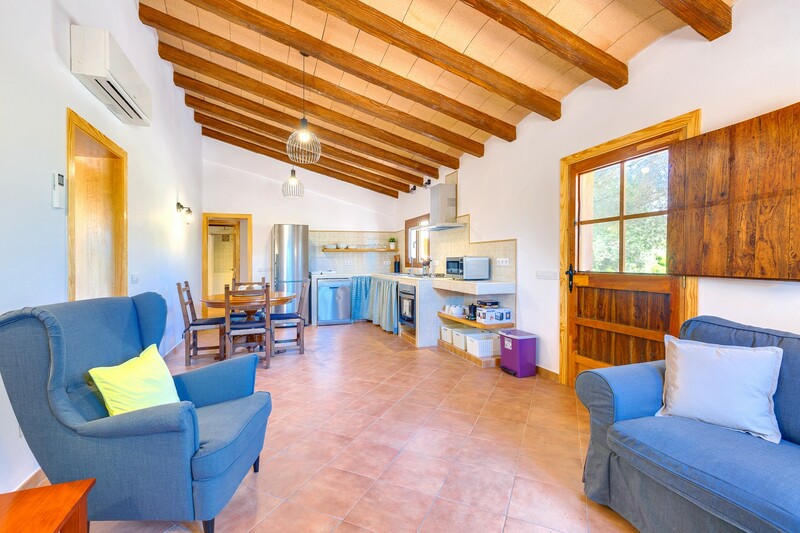 Amazing rustic finca with private pool and garden in the nice village of Calvià up to 6 people. 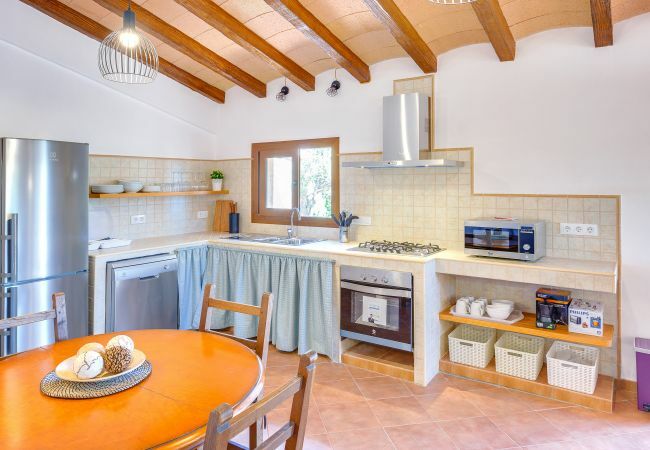 The house is newly renovated and it has all the appliances you may need for a fantastic holidays. 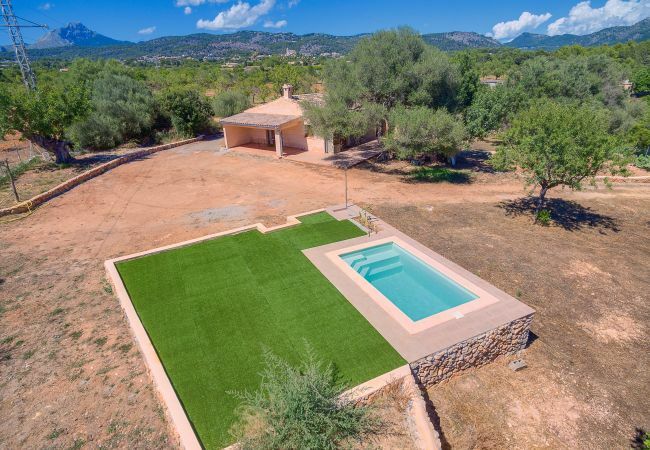 In the outside of the finca, you can relax in the pool and admire the beautiful views of the mountains and the orchard with vegetables and fruit trees. 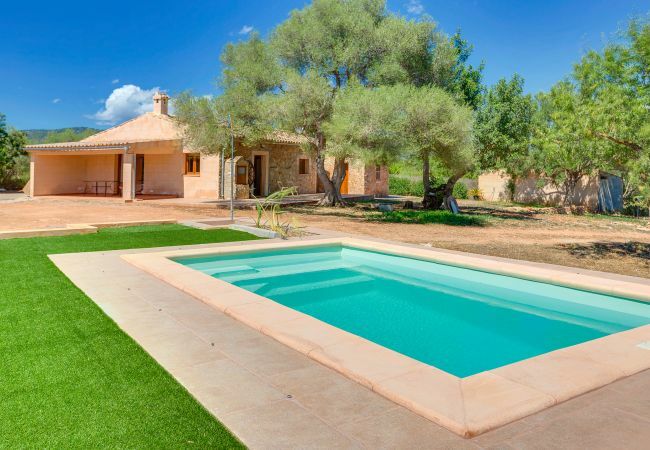 The pool, terrace, garden, parking and chill area just in front of the house. 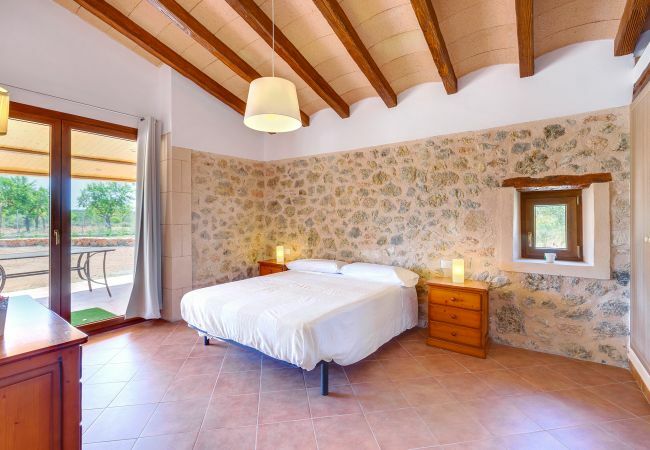 It is a very peaceful area so you will enjoy your stay in a fantastic place. 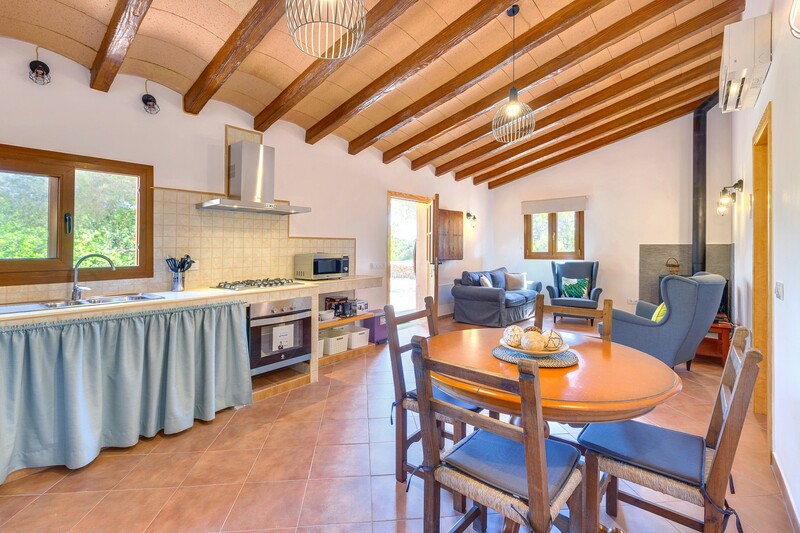 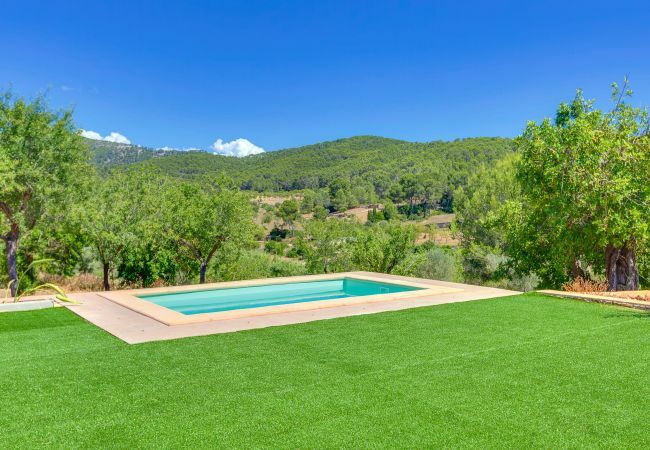 This fantastic house is located in a little idyllically positioned village Calvià with direct access to the famous mountains Tramuntana. 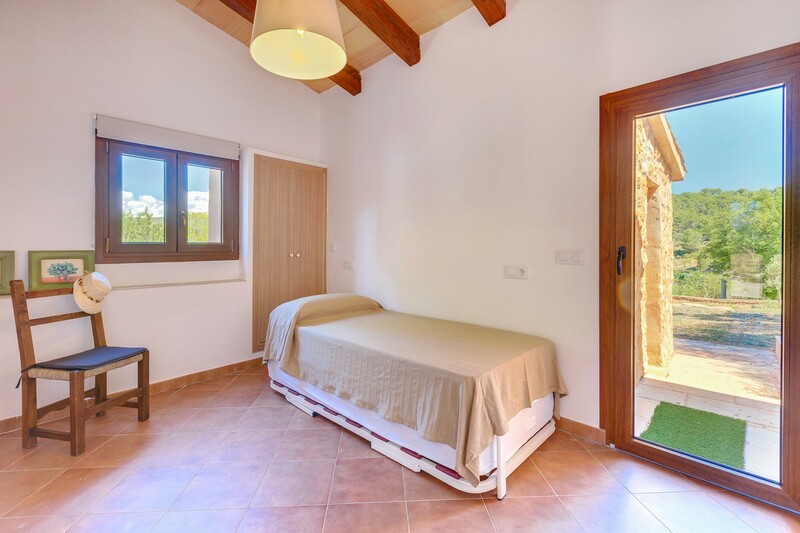 – Touristic Tax: 2€/person/night to be paid in cash upon arrival. 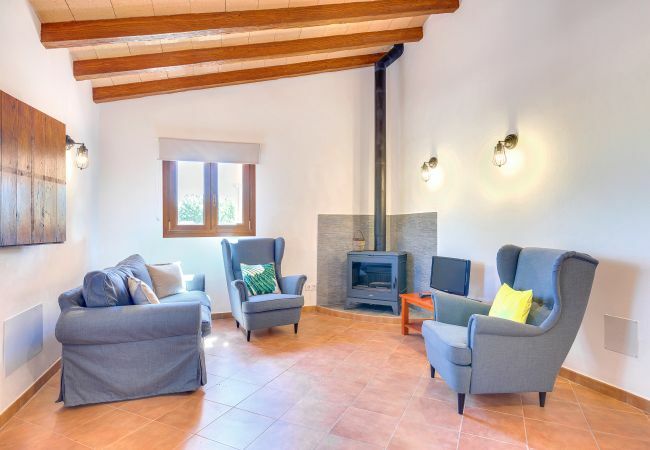 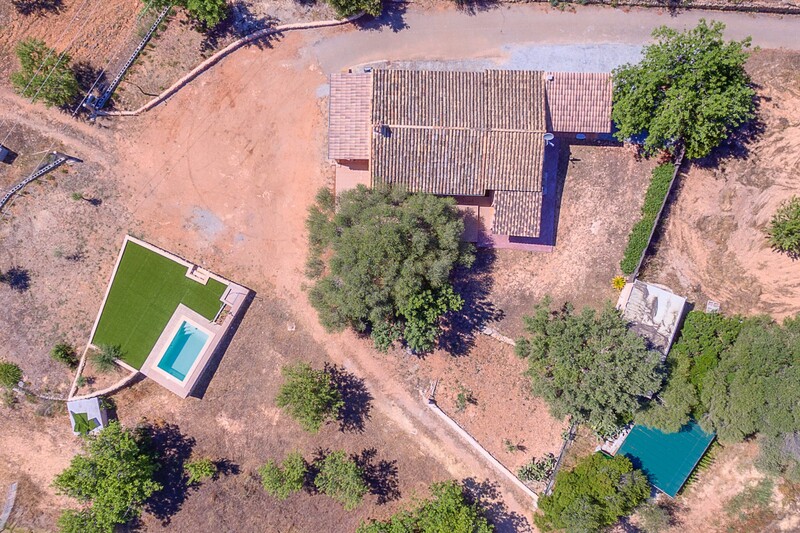 - 1 TV, TV Satellite (Languages: Spanish, English, German, French), Stereo, garden, garden furniture, fenced garden, 200 m² terrace, fireplace, iron, internet (Wi-Fi), childrens area, 120 m² property, 30,000 m² plot, air conditioning (hot/cold), air-conditioned, private swimming pool (dimensions 5x3), Open-air parking (4 places) in the same building, 3 electric anti-mosquito devices. 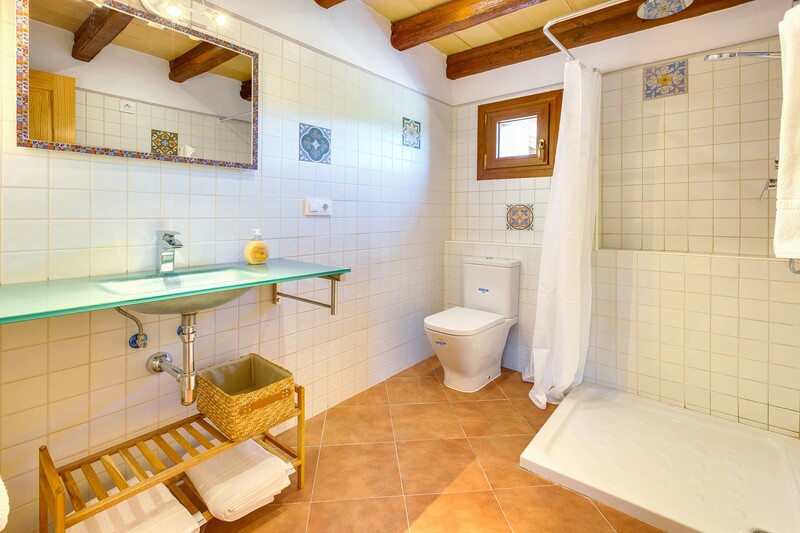 Very clean and orderly lodging. 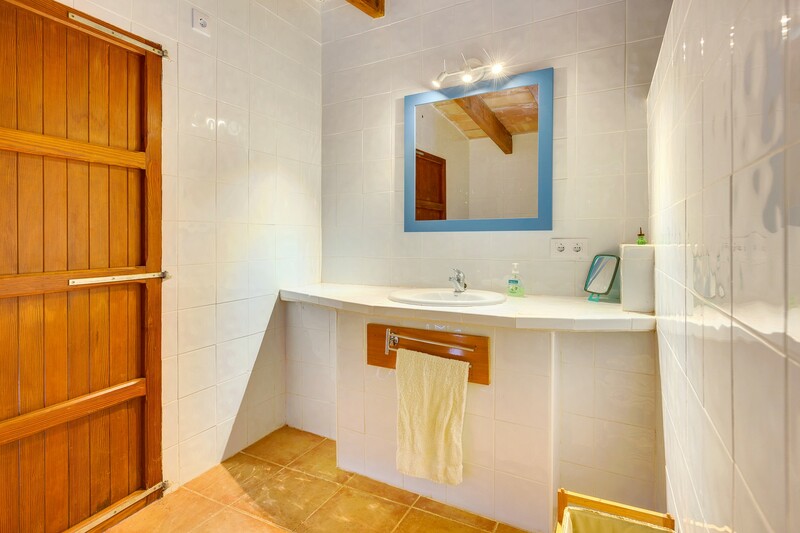 The owner of house has always been available for any our question also previously to our arrival, The house is well furnished, in fact there is towels, sheets, toilet paper and all of this that it serves for using the washer.The swimming pool is clean, every day arrives a man that cleans it. 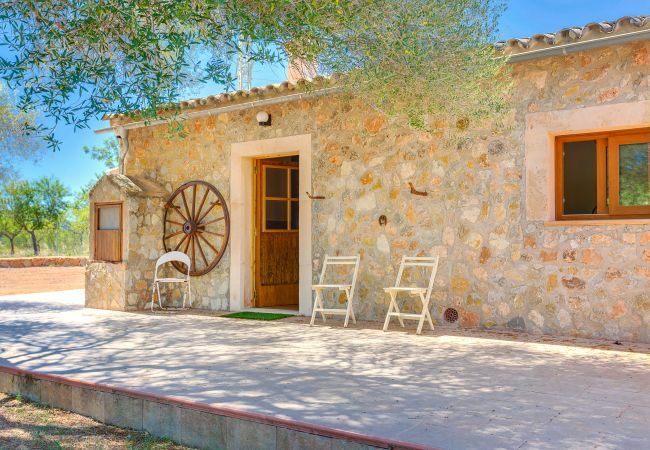 The position of the house is good if it has him a car, 10 minutes from Magaluf and 25 from Palma. 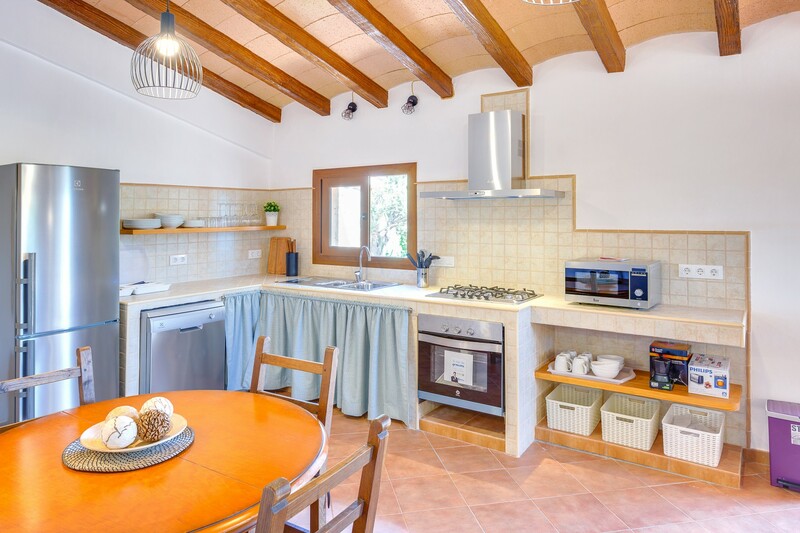 There is however a small problem of ants that they often enter house. 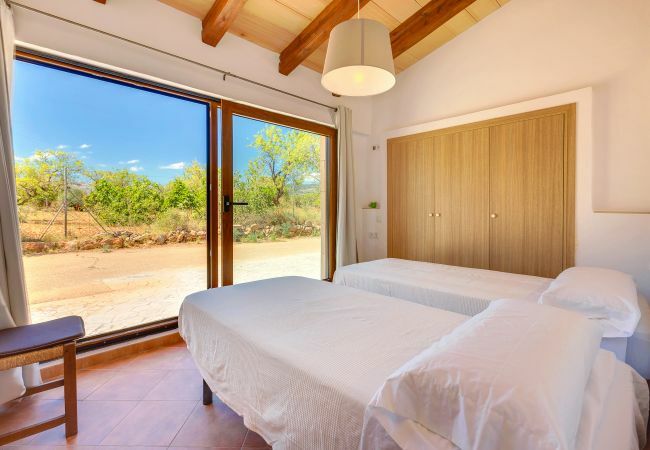 overall however the lodging is perfect for the one who wants to relax in the nature and at the same time to be next to the cities and to the beach. 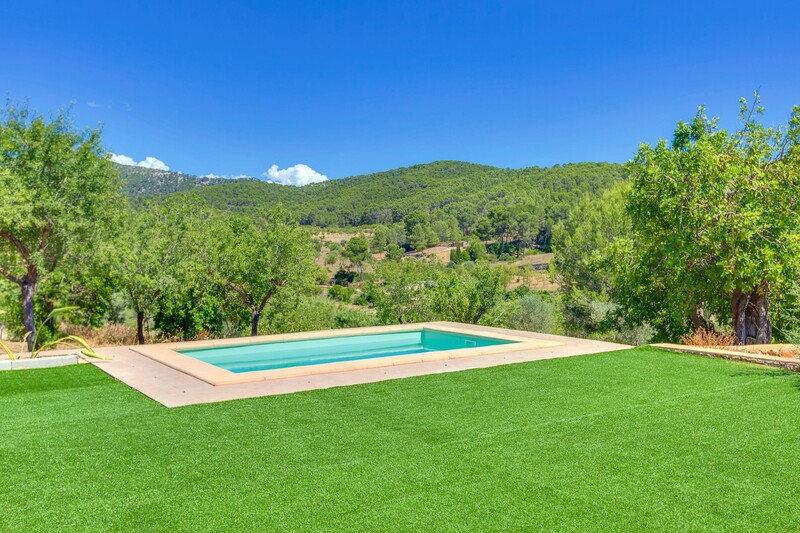 Thanks of heart for the hospitality it is everything perfect however there is to resolve the problem of the ants that they enter house. 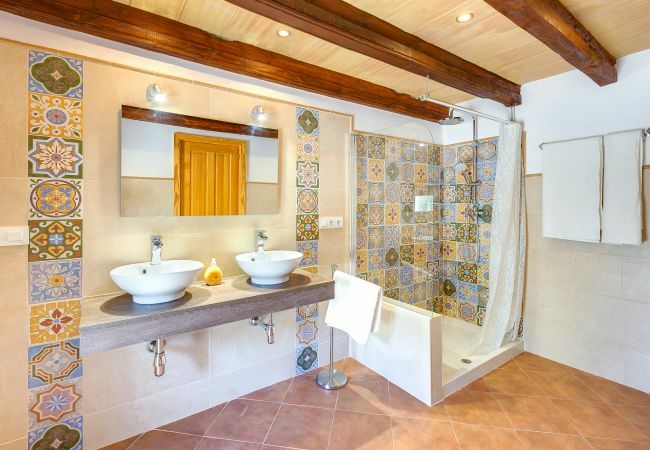 We had a wonderful stay in the villa. 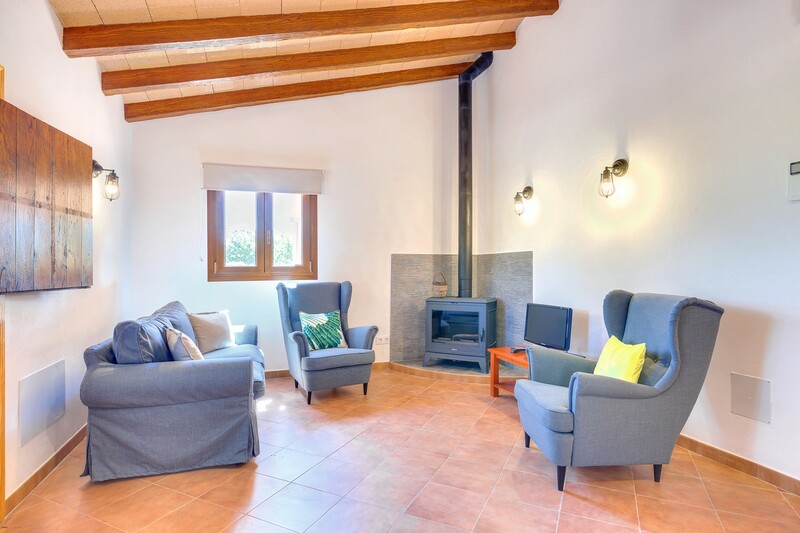 The house was beautifully renovation and everything was BRANDnew and very clean. 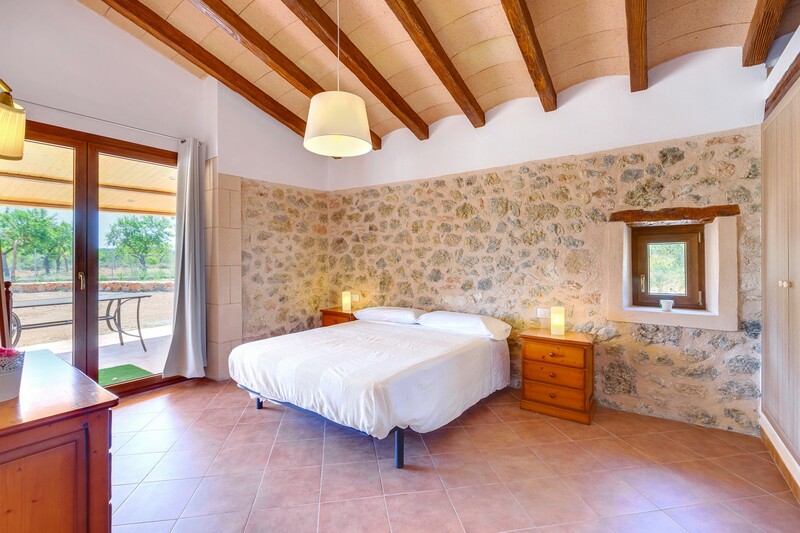 Overall we had a very nice stay in a place with beautiful surroundings and nice views. 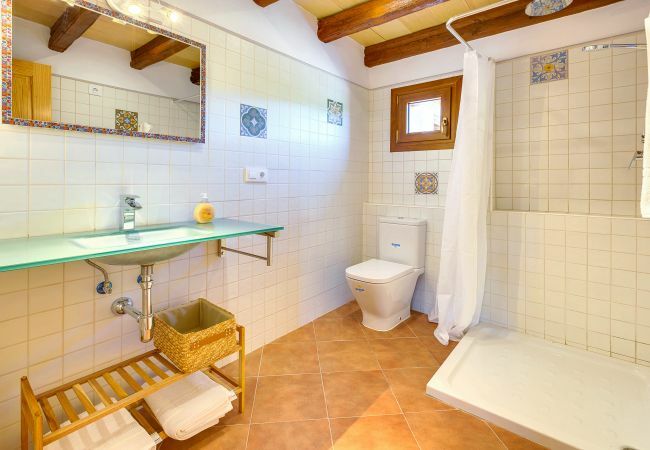 The location is very quiet, which enables a relaxing vacation. 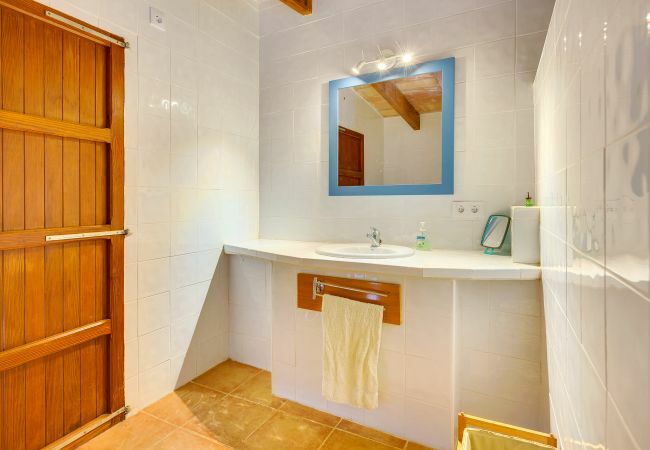 However, also located very 'central' to go on excursionsclubbing. 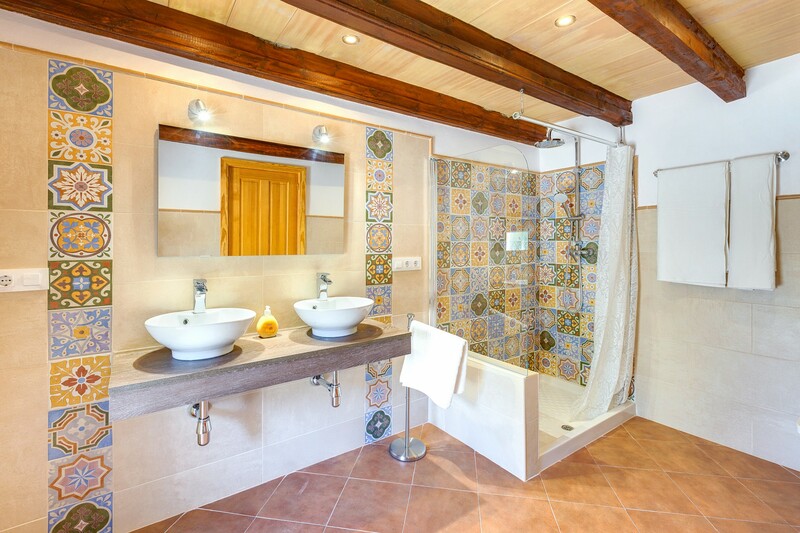 Overall: recommend The contact with the owner went very smooth, he went out of his way to make our stay perfect. 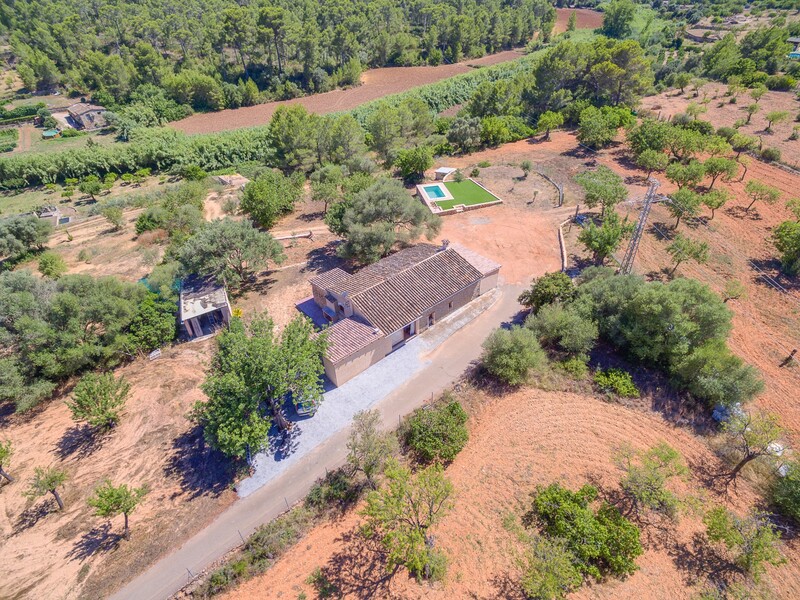 It feels in the middle of nowhere.